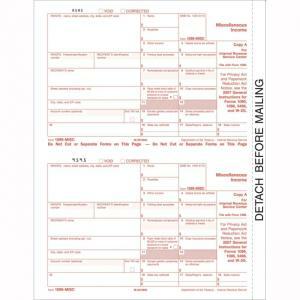 Laser kit with the five-part carbon less 1099 Miscellaneous form meets IRS specifications. 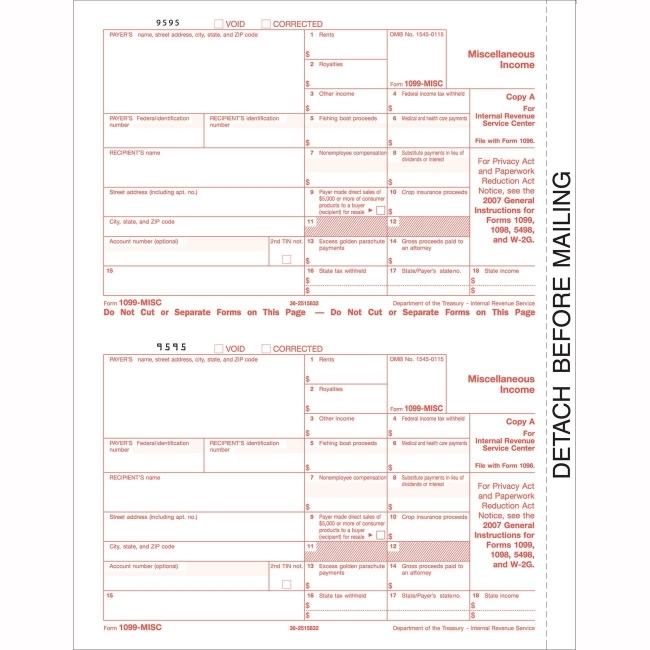 Used to report rents, royalties, prizes and awards, fees, commissions paid to non-employees, receipts of medical and health care payments and substitute payments in lieu of dividends or interest. Printed on white 20 lb paper.